Benzie Central Schools got a cop in the district in January. The position is funded by a county millage and will last four years. 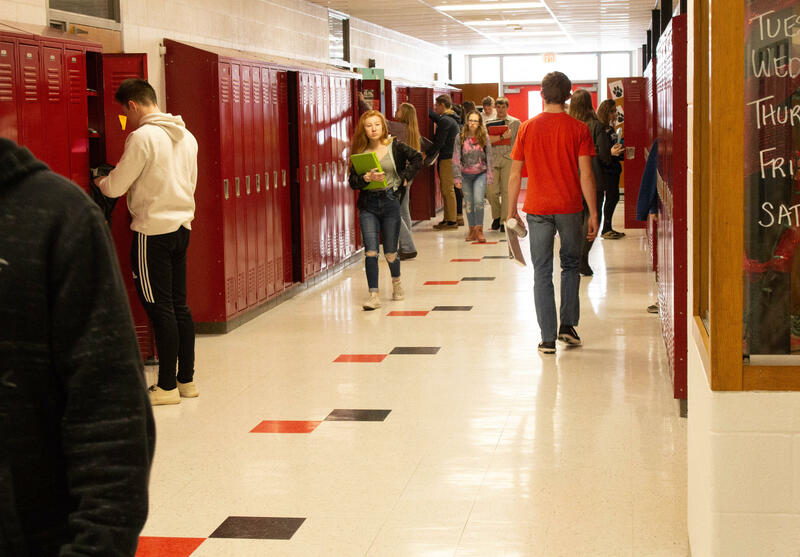 Students at Benzie Central High School fill the hallway between classes while a school cop keeps an eye on things. After the school shooting in Parkland, Florida last year, a committee in Benzie County got together to talk about what they could do to increase school safety. Their solution: cops in schools. They proposed a millage to pay for two cops in each school district in the county, and voters passed it in November. But it’s what happened after the millage passed that left some residents frustrated. Learn more about the controversy and the role of cops in schools. 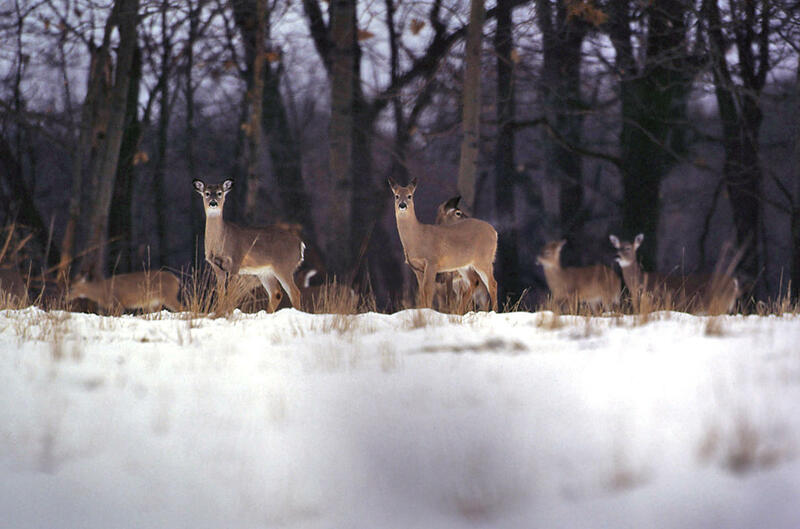 A new bill introduced in the state senate would overturn the deer baiting and feeding ban in the Lower Peninsula. Senator Curt VanderWall (R-Ludington) says there isn’t a clear link between deer baiting and the spread of Chronic Wasting Disease. Earlier this week, he introduced a bill that would reverse the current ban on deer baiting in Michigan. Learn more about the new bill. Ice boaters on Lake Leelanau in late March. There’s a group of dedicated ice boaters in northern Michigan, and they’re still out there sailing at rapid speeds across the ice. David Hill learned from his father, now he hopes to pass it on to his kids. Learn more about ice boating. In a future episode of Points North, you’ll hear about a citizen-led initiative to get marijuana businesses in a small town in northern Michigan. But they’re fighting the majority of the local government that doesn’t support it. That got us thinking, do you feel represented by your local government? If not, what do you do about it? How do you get involved in your community? Share your stories with us by calling our comment line 231-276-4444 or emailing a voice memo to ipr@interlochen.org.